There are hundreds of things to do in Aberfeldy, the town is the bustling heart of Highland Perthshire. Aberfeldy is steeped in history from ancient stones to spectacular bridges (1733) and architecture. It has pubs and restaurants serving excellent local fare as well as many galleries and more. Below is a short list of five things you could do if you were in Aberfeldy for the day. 1 – Come rafting with Splash White Water Rafting. Come rafting with Splash on Scotland’s longest river. 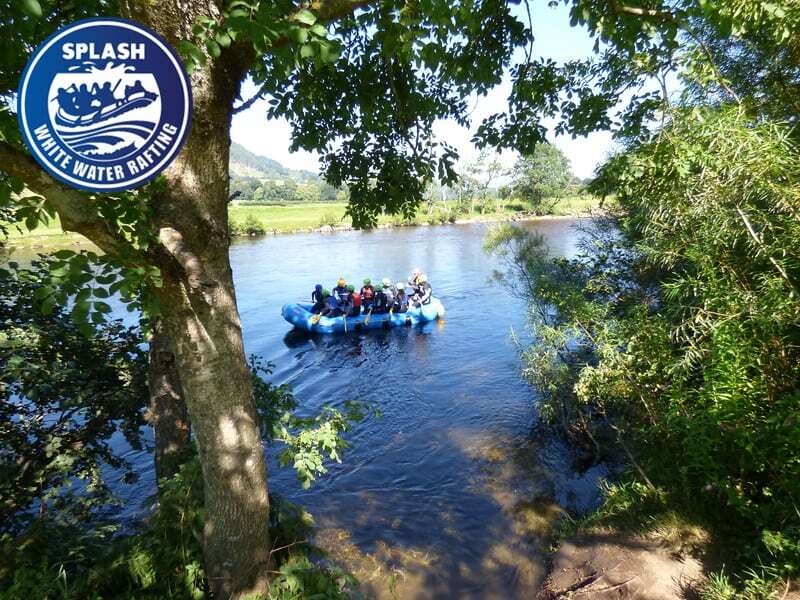 The river Tay white water rafting experience starts from our base in Aberfeldy and follows the river six miles downstream to the village of Grandtully. White water rafting on the Tay is fun and can be enjoyed by the whole family (8 years and up) it is also the very best way to see the area. You will see unfiltered natural beauty from your raft, experience adrenaline as you whip through the rapids and more. Now that sounds like fun. Book your adventure here. Yes it’s been a fun, exciting and adventurous day in Aberfeldy, it’s time to sit back and enjoy some evening entertainment. Why not sit back and enjoy a movie right in the heart of the town at the Birks cinema. One of the newest additions to the town, the cinema opened in 2013 and is a great place to finish your day in Aberfeldy. If you’re thinking about visiting Aberfeldy, Splash white water rafting can take the hassle out of your trip. We have an extensive network of partners around the town and wider Perthshire area. We can book you great deals on accommodation, tours, activities and more. Contact us today to see how we can help you get the best Aberfeldy experience.